Dr. Linton has been helping Mt Sterling, KY patients since 1997 recover from auto injury and other pain conditions. If you're suffering, we're here for you! Vehicle Accident Treatment. Car accidents can create a wide array of problems and long-term disability. If you've been in an auto collision, it's crucial that you ensure that you get early attention to lessen the creation of scar tissue and persistent pain. Back Problems. Chiropractic care is a proven successful and safe method to heal from either acute or prolonged pain. Neck Pain. It doesn't matter if your neck discomfort is triggered by an accident, postural problems, or idiopathic (unknown origin), we can help get to the root of the problem. Headaches. Numerous research studies clearly show that chiropractic adjustments can help with headache problems. A few of the different types of headache include migraines, tension headache, and cervicogenic headache (pain that originates in the cervical spine). Chiropractic can be effective for all of these. Sciatic Nerve Pain. The sciatic nerve is the largest nerve in the human body and it travels from your lower back, through your pelvis, and down your leg. Sciatica can be very disruptive to your life, and chiropractic is a great way to pinpoint the root cause of your pain and decrease the pressure on the sciatic nerve. General Health. Research also shows that chiropractic care can decrease stress and anxiety, improve immune function, and may even be helpful for elevated blood pressure. Chiropractic care is perfect for your overall health! 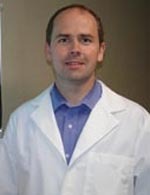 Dr. Linton would love to help you with any health concerns you might have. Our office is conveniently located in Mt Sterling, KY. Give us a call today at (859) 499-1009 with any questions or to make an appointment.